The Great Siege of Malta took place in 1565 and saw the Knights Hospitalier resist the advances of the attacking Ottomans; those events have now been retold in the shape of an online slot machine from Blueprint Gaming called Valletta Megaways which comes free spins. the Valletta Streak and the chance to buy your way straight into the main feature. 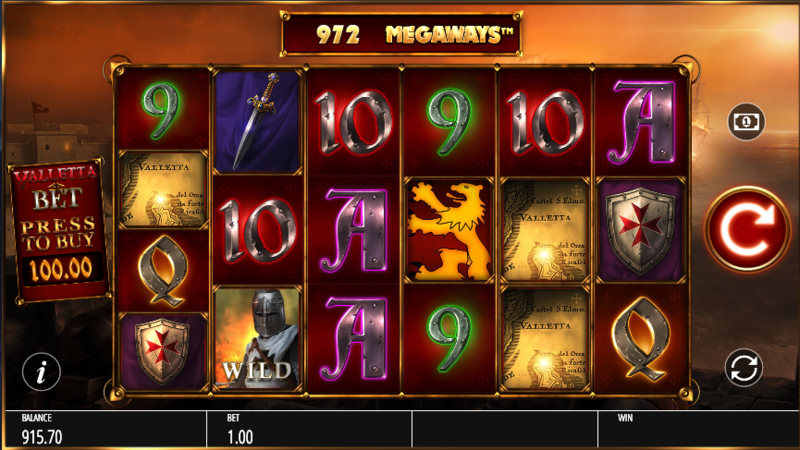 Valletta Megaways is a six reel slot with four rows and a potential 15625 ways to win, depending on the size of the symbols on any particular spin; action from the siege plays out behind those reels with some suitably sombre music to keep the atmosphere tense. The high value symbols include the Ottoman and Christian banners, a dagger and a map of this small part of the Mediterranean; 9, 10, J, Q, K and A make up the lower values. 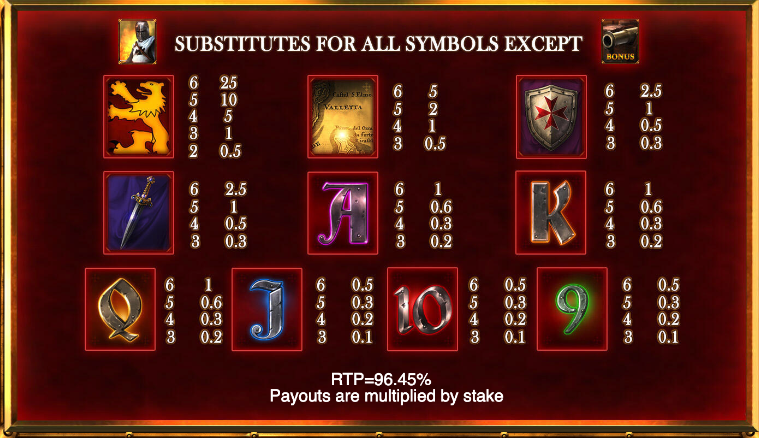 A Knight is wild and he will replace all other symbols to help form winning combinations except for the cannon bonus icon. You can buy your way into the free spins for 100x your stake by clicking the button to the left of the reels or do it the old fashioned way by landing three, four, five or six of the cannon bonus symbols for which you’ll receive 10, 12, 15 or 20 free spins respectively. Each winning combo will be held in place during this round and respins awarded until no more matching symbols land – this is the Valletta Streak and if you can fill the reels up you’ll be awarded extra free spins. Valletta Megaways brings a sense of history and a brooding atmosphere to the reels – combine that with the clever Megaways gameplay and an enhanced free spins round and you’ve got a top notch slots experience.